Ann Coulter has rejected the University of California, Berkeley's re-invitation to speak on campus, according to Fox News. 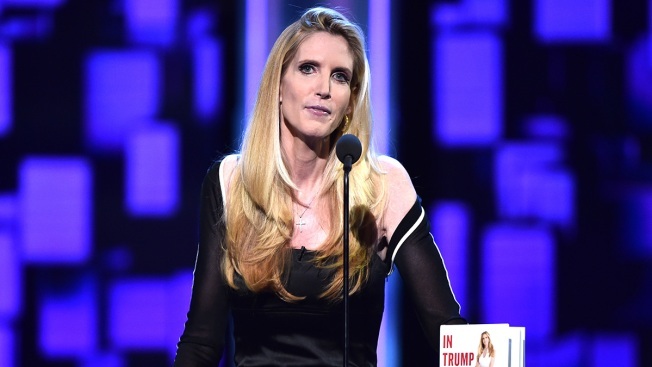 On Thursday, a day after calling off Coulter's upcoming appearance for security reasons, university officials backtracked and paved the way for her to speak to students on May 2. But the right-wing provocateur responded via Twitter on Thursday, indicating they've already spent money for the previously scheduled event on April 27, and she's not available to speak on the new date. Then she added: "THERE ARE NO CLASSES AT BERKELEY THE WEEK OF MAY 2!!!" On Twitter, she also brushed off Berkeley's statement "claiming they 'rescinded' cancelation." Instead she condemned officials for adding "NEW, more burdensome" conditions on her constitution rights. In addition to facts: We've already spent $ for 4/27 Berkeley spc & I can't do May 2...THERE ARE NO CLASSES AT BERKELEY THE WEEK OF MAY 2!!! University officials on Thursday said they've found a venue for the rescheduled event, but they did not reveal the specific location. Chancellor Nicholas Dirks said they originally canceled Coulter because of student safety. But because she is vowing to speak anyway, the university found a new venue. "As the home of the free speech movement, we fully support the right of our students to host speakers of their choice," Dirks said. "We also have an unwavering commitment to providing for the safety and well being of speakers who come to campus, our students and other members of our campus." The university said an "expanded search" has uncovered a venue on campus that meets their security criteria. UC Berkeley officials said Wednesday that they were "unable to find a safe and suitable" venue for the right-wing provocateur who was invited to speak by campus Republicans on April 27. Further details about the decision reversal were not immediately available. The hubbub sparked Tuesday when Vice Chancellor Scott Biddy sent a letter the Berkeley College Republicans, saying that university officials in consultation with campus police had determined they could not ensure the safety of Coulter, audience members or protesters expected at the event. UC Berkeley police said there won't be a repeat of what unfolded during the Yiannopoulos melee, when people who had infiltrated the protest started smashing windows and lighting fires. "Our approach is going to be different than the approach for the Milo event, again based on our after-action review," UC Berkeley police Capt. Alex Yao said. Coulter herself said in a tweet Wednesday she's still planning on coming to Berkeley to speak and blasted the school for canceling the event. NBC Bay Area's Kim Yonenaka contributed to this report.